Interested in DIY projects? Ever thought about building furniture or making an electric guitar? Then the Design Station is for you! These noncredit, personal interest courses are offered evenings and weekends throughout the year. Participants learn to create and produce custom items in the fabrication laboratory (fab lab). Do you have a love for music and creating things out of wood? 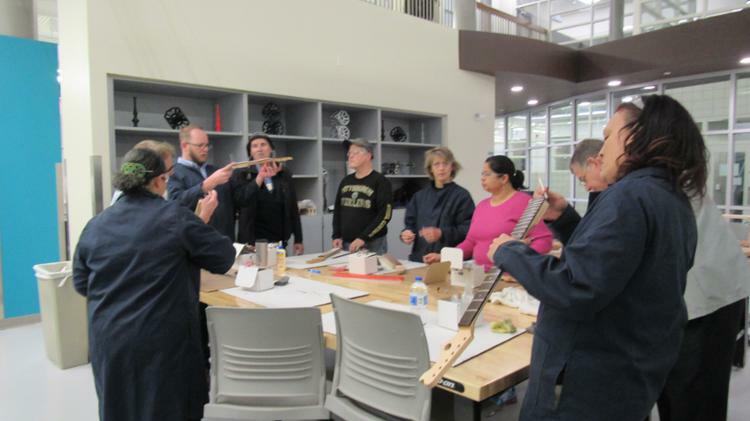 This course is for individuals at all levels who are interested in making their own guitar in Cuyahoga Community College’s state-of-the-art fab lab. Learn how to customize and mill a block of wood to build your own electric guitar. Make a unique piece of handmade furniture that you can show off! In this course, you will learn how to make your own lamp. Utilize technologies such as 2-D CAD design software and laser engravers to design and cut out lamp components. Upon completion of this course, you will be able to apply these techniques to design and create other lamps, as well as utilize laser engravers for other projects.